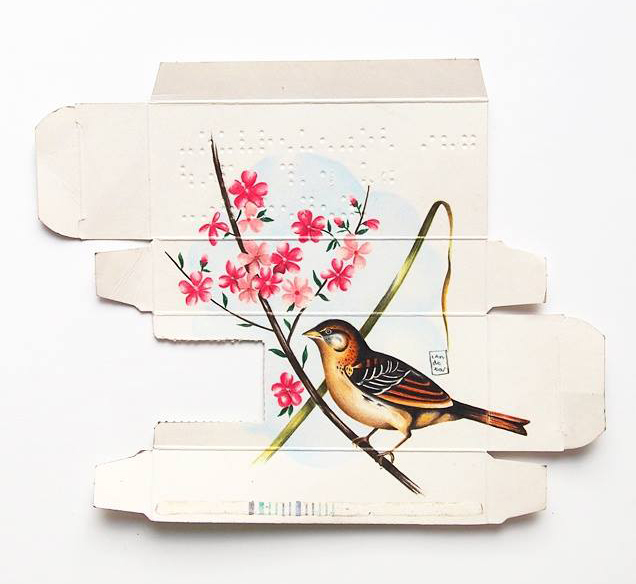 The bird has long been a symbol of freedom. Its wings can raise it off the ground and into the sky, bridging the gap between Heaven and Earth. But it is also one of the creatures most kept in captivity. 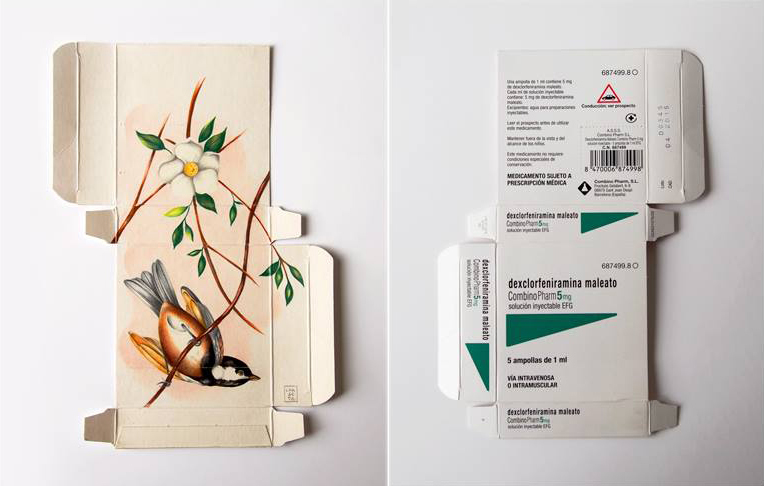 This dichotomy of freedom and confinement ties in to artist Sara Landeta’s decision to paint small birds onto the back of pharmaceutical packaging. Pharmaceutical drugs of all kinds enable people to battle the illnesses that afflict them, but the habitual taking of medicine can be far from liberating. We take them at the same time every day, in the prescribed dose. We are reliant on them, deeming them necessary for us to live our lives the way we want to. It can become a kind of dependency, this thing that is meant to free us. 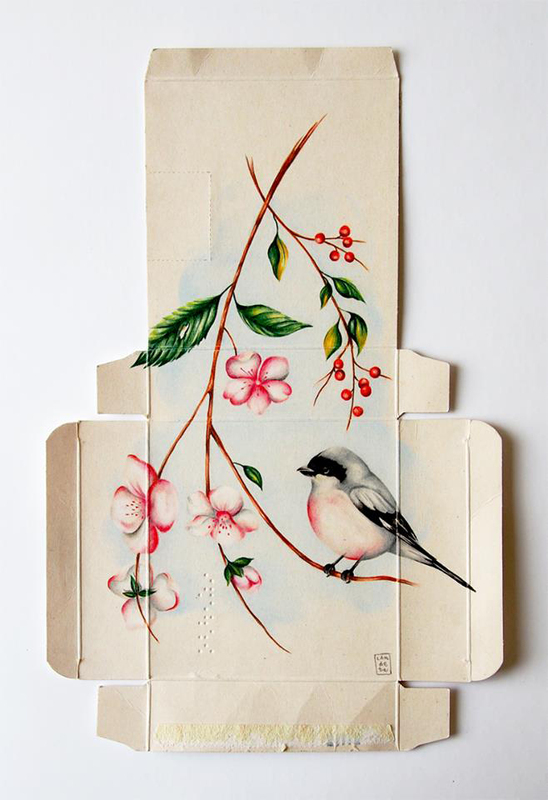 The delicate birds Sara paints are in a traditional decorative Japanese style, more often found adorning ceramic plates than the back of stark pharmaceutical boxes. 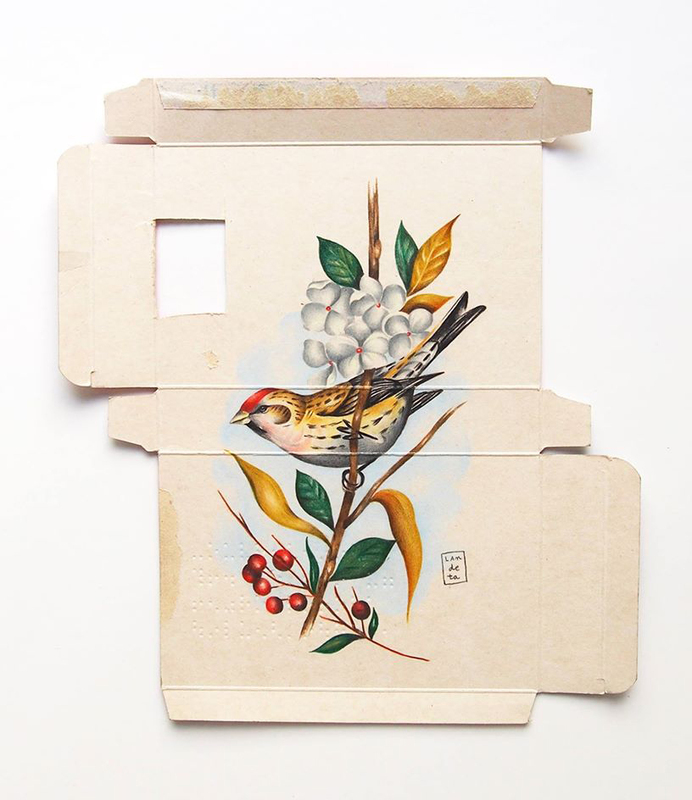 But the contrast of something natural and beautiful painted onto a man-made chemical packaging is striking and leaves a poignant sense of fragile hope. 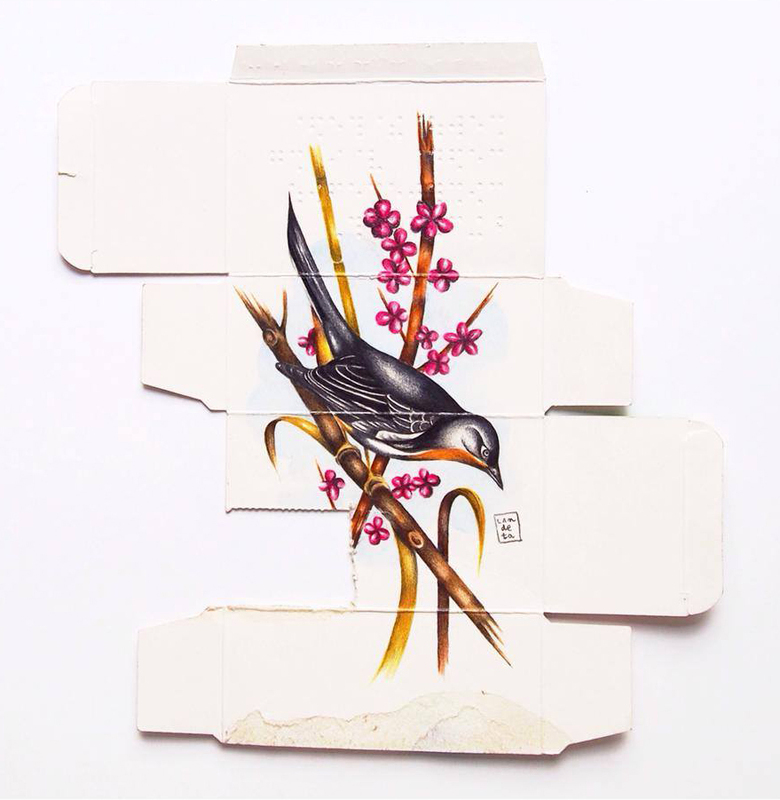 All images courtesy of Sara Landeta.